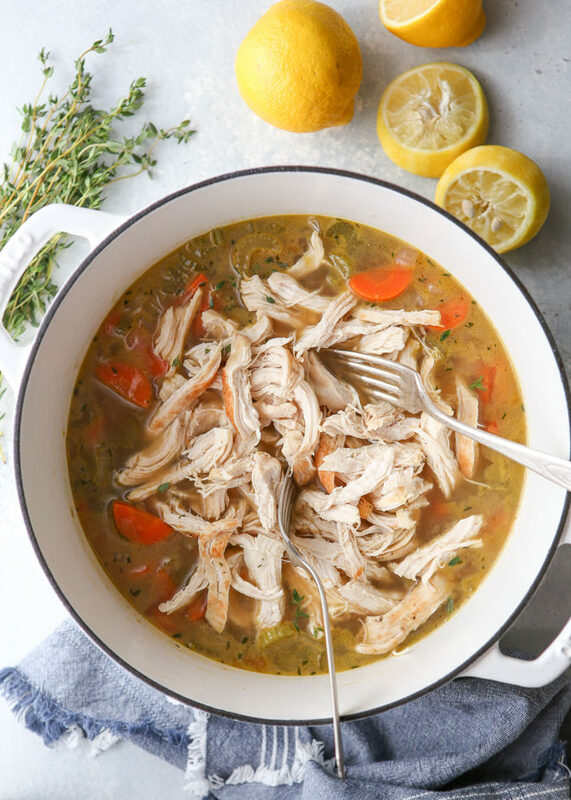 January is unofficial soup month at our house, because it’s all I want on cold chilly nights. 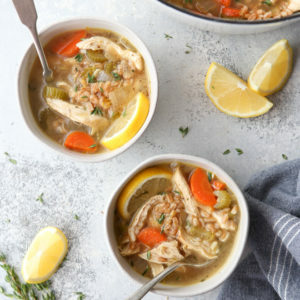 I admit I can be a bit boring when it comes to making soups, and I usually stick to a few staples like chili  or chicken noodle. 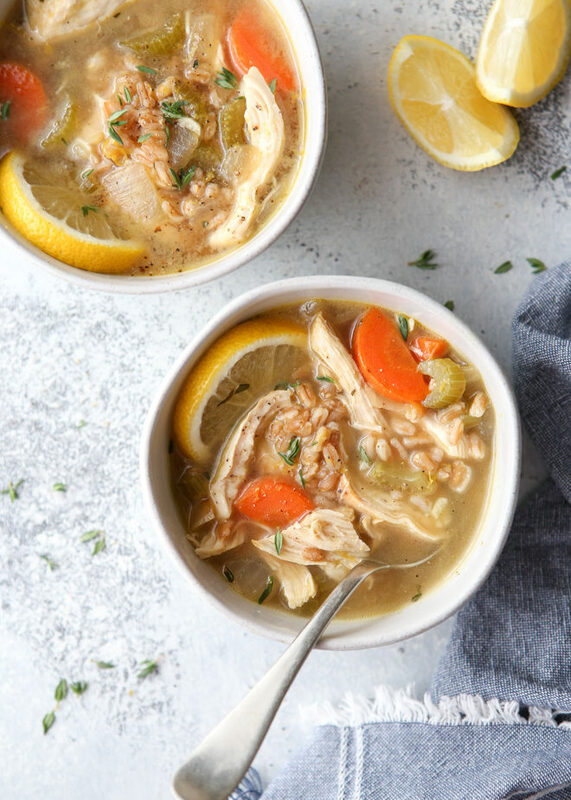 This lemon, chicken and farro soup is a fun spin I put on my typical chicken noodle soup, and I’ve completely fallen in love with it! I swapped the noodles for farro, added some brightness with a little lemon, and left the rest as is. 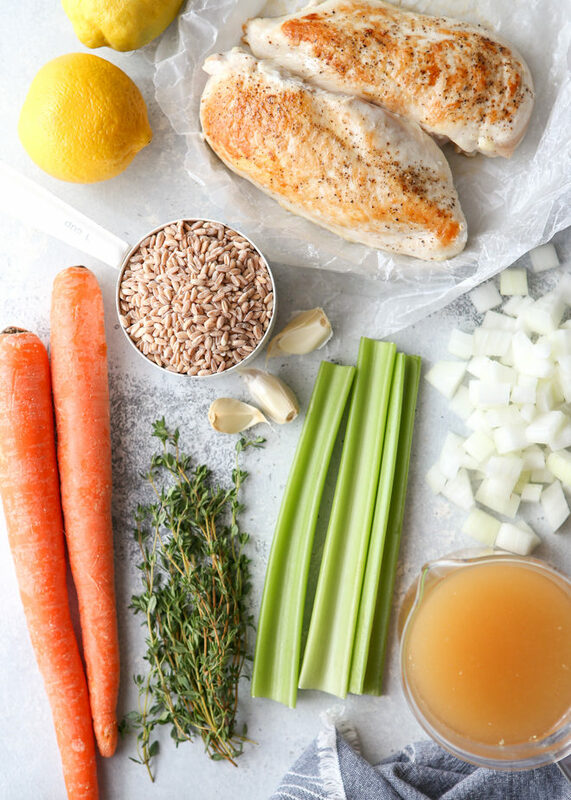 Are you cooking with farro? 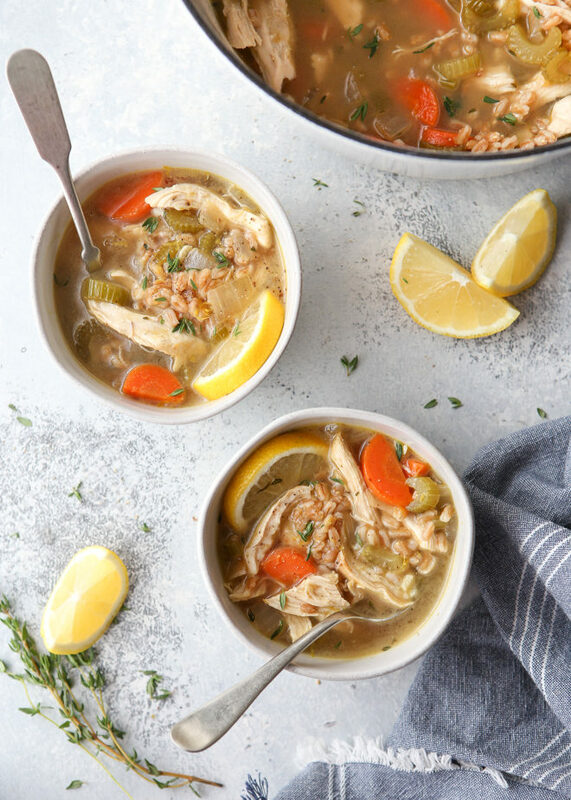 It’s one of my favorite grains (this farro with chicken, kale, and coconut “salad”  is what got me hooked) and I’ll use it often in place of rice or other grains in soups, salads, or grain bowls. Farro is an ancient grain that is similar to barley after it’s been cooked. It’s an excellent source of protein, fiber and nutrients like magnesium, zinc and some B vitamins. More info on farro here .